After a few months of using AdSense, one of recommendations I got from Google was to switch to Auto Ads. Up until this time I had stuck to banner ads and kept clear from native ads which I had assumed would take a lot of tinkering with to work with Blogger. However, this new development reinvigorated my interest and I decided to give them a try, especially given the fact that you only need to implement one code for the ads to display in all your pages. It turned out later that I had actually already implemented code since it the same code used for the AdSense review process. So the only thing I was left to do was activate the type of Auto Ads I wanted to be served by AdSense on my pages. 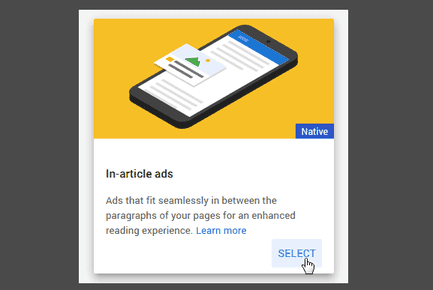 Auto Ads also serve the traditional Text & Display Ads (Banners), but since I had those already implemented manually my focus was on the Native Ads. Seeing that a reasonable amount of my traffic comes from mobile users, I decided to give the Anchor Ads a try. To my surprise, they displayed just fine after a couple of minutes. I took that as a go ahead to activate the In-Article Ads and Matched Content to capitalize on my desktop traffic as well. Unfortunately, these two didn't end up working out as I had hoped. The In-Article Ads were a no show even after days of waiting while the Matched Content did eventually show but in the oddest of places: at the very tail end of the site. At that location it stood little chance of being seen so I ended up deactivating both of them. That got me wondering if I could perhaps implement the in-article ads manually as they would be a good fit for some of my rather long posts. Turns out it's possible, however they come with one major drawback - they've to be implemented manually on the individual posts. I've since implemented them in a couple of my posts such as this one and being responsive, they do display quite well between the paragraphs. Here's how to do it on your Blogger site. 1. Log in to your AdSense account and from the menu select My Ads then Ad units. 2. 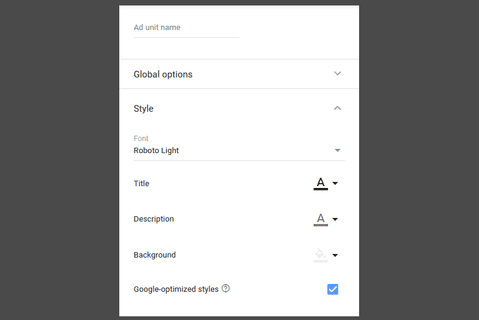 Select the +New Ad Unit button to display the types of Ad to create. In the Ad types page, select In-article Ads. 3. On the sidebar on the left give the Ad unit a unique name then edits the style of the Ads. For the style you can leave as it is but you may want to edit it to so that it blends well with you blogs colours and content. When you're done, click on the SAVE AND GET CODE button. Save that code somewhere as you'll be using it quite regularly. 4. Now go to your Blogger dashboard and open a post which you'd like to display the in-article ads. In the post editor, switch to HTML view. Now it's time to decide where you'd want the ads to display. Google recommends you show them after the first two paragraphs. I think that's a reasonable position for most as it's above the fold to be seen by most of your visitors and at the same time low enough to ensure something has been read before being seen. You are however free to put them wherever you'd wish within the content just make sure you're complying to the AdSense policies. 5. Copy the code and paste it as it is (do not parse) between two paragraphs. You can add breaks between the code to make sure the Ad is evenly spaced between the paragraphs. You can also add the code more than once in the same article but I think that's only wise if you content is long enough to allow for it. 6. Give it a few minutes and the Ads should start displaying on those posts. To preview them much quickly, start by implementing the code in posts that are already getting good traffic otherwise you may see a blank space. Now all that's left is to repeat this for any existing posts and any new posts that you'll be publishing. These ads are responsive so they will fit nicely into the availabe space both on desktop and mobile views. Google also optimizes them automatically by showingg display ads on mobile and sometimes even on desktop. Regarding the performance of in-article ads, they tend to have a high click-through rate (CTR) but with very low CPC and CPM rates. Banner ads outperform them by a big margin, even on mobile where they're occassioanally substitued with banner ads. However this based on the observations on two of my sites and therefore could be influenced by other factors. As always you can do some testing first before you decide switching to them.